This conference organized by ESA will explore the emerging challenges and opportunities faced by the EO scientific community to respond to the new paradigm of EO Open Science .The conference will also present how ESA is facilitating the exploitation of EO data in a collaborative, cross-disciplinary, and open way, to make the most of the large volume of complex and diverse data delivered by the new generation of EO missions and in particular the Sentinels. 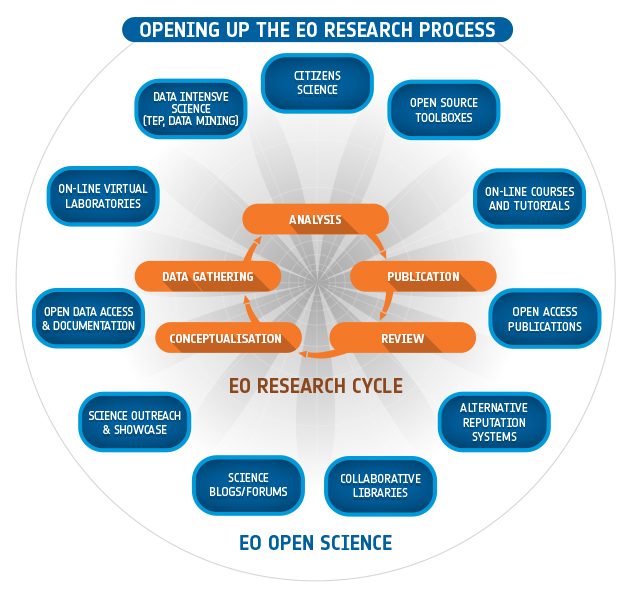 EO Open Science offers an enormous potential for researchers to share knowledge, access and make use of EO data in a global network of communities. Consult scientists to prepare future ESA scientific Exploitation Elements activities supporting EO Open Science. Representatives from National, European and International space and value adding industry interested in the new EO Science approach and activities. The working language of the conference is English. No participation fees will be charged. Participants are expected to finance their own travel and accommodation expenses.